To set up your monthly sustaining donation, click here to be taken to our donor login portal. If this is your first time making a donation, enter your name and contact information in the form. If you are already a member or donor, click on the LOGIN button on the left, to login as an enrolled user. After logging in, select the amount you wish to donate, or select “other amount” and enter your preferred donation amount. After choosing your donation amount, you will need to designate a fund to receive it. Designating the general fund gives us the most flexibility in using your donation to support CLN, however every donation is important and appreciated. At the bottom of the screen, click on Select Payment Method, to set up your recurring payment. This opens a new dropdown at the bottom for selecting credit card type. Make sure to check the box to “Make this a Recurring Transaction” and click CONTINUE. A new section appears at the bottom of the screen, where you will enter your credit card details. 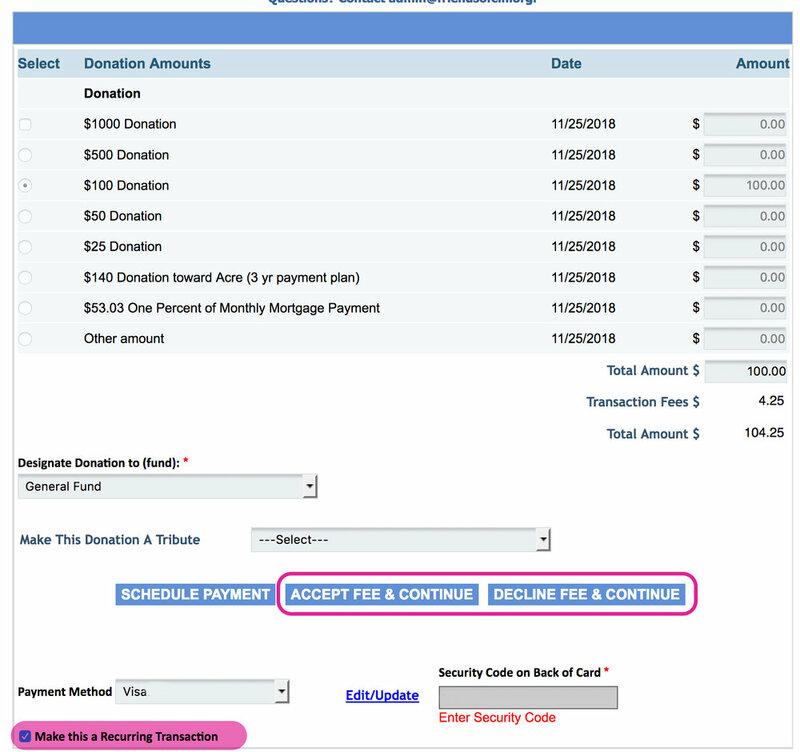 AFTER providing the card details, and checking “Make this a recurring donation” click on either Accept Fee & Continue, or Decline Fee & Continue, depending on whether you or not you wish to pay the credit card processing fee. It’s not required, but it does help! 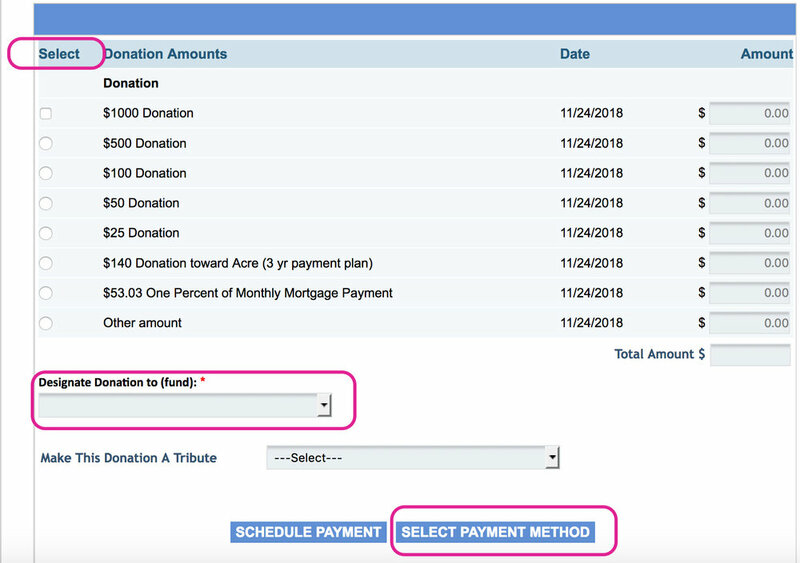 Then choose the frequency of your recurring donation. and click CONTINUE. Next, choose the start date, end date, and day of the month for your recurring transaction. 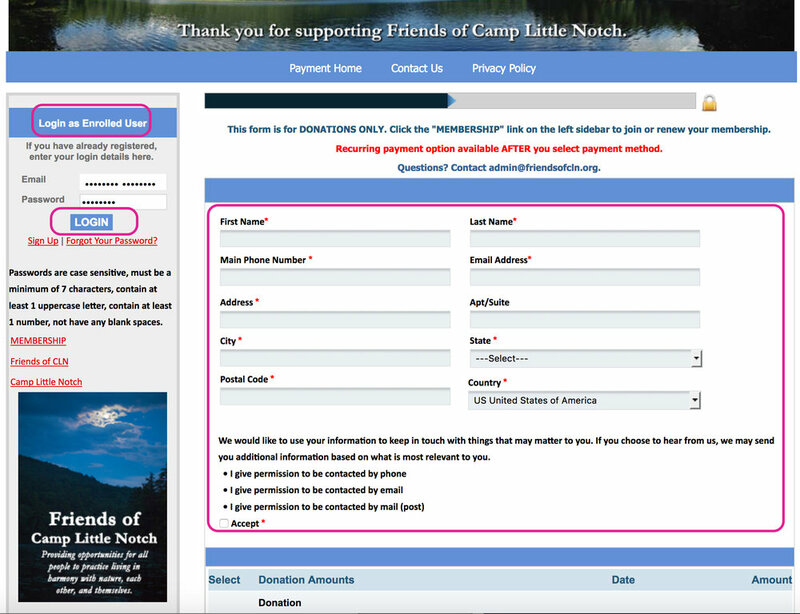 Finally, review your transaction details and click on AUTHORIZE PAYMENT to establish your monthly sustaining donation. You will receive an emailed receipt each month when your transaction is credited, as well as a year end donation statement each year. Please don’t hesitate to contact us if you have any questions, and thank you for becoming a sustaining donor! 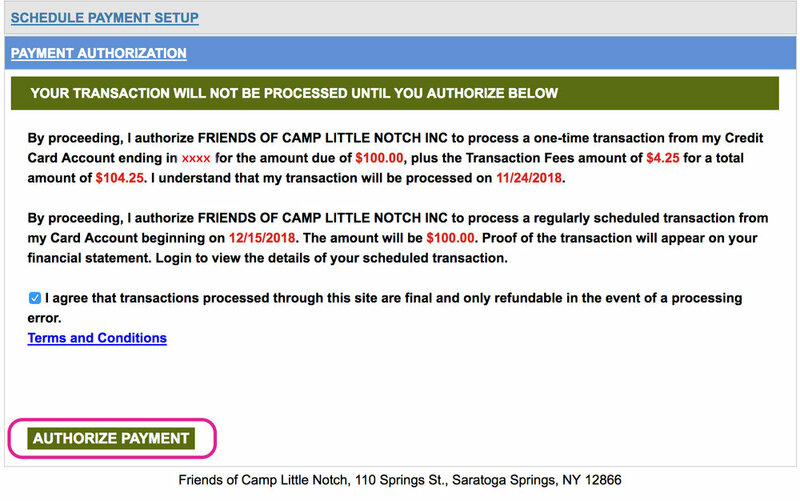 Thank you for supporting Camp Little Notch!